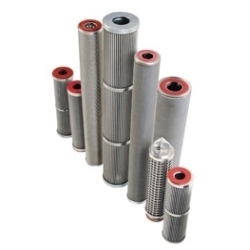 We are devotedly engaged in providing our clients a precisely designed assortment of SS Wire Mesh Filter elements . This mesh is fabricated using the top most quality raw material and advanced technology at par with the set industry norms at our well equipped manufacturing unit. In addition to this, we are offering this range in various specifications to meet the application requirements of our clients. Offered oil filter is manufactured using high quality factor input and latest technology by our skilled professionals. To make sure quality, it is strictly tested on different parameters. Clients can avail this air filter from us in diverse sizes and other related specifications, as per their requirements. Looking for SS Wire Mesh Filter ?